When well #106 was completed for BreakDown STL, it marked the 25th well completed this year. Hundreds of people in the Parlo Ellage slum in India now have safe drinking water. Along with well #106, two other wells were bored last week adding to the thousands of villagers, who this year, now have freedom from their old contaminated water source. 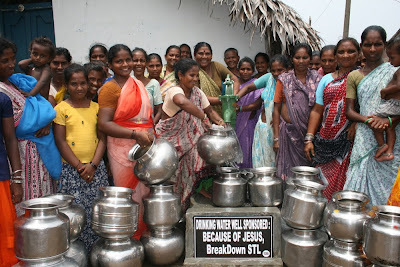 A whole community receives disease free water for only $650 per well. You can deliver fresh water Now!